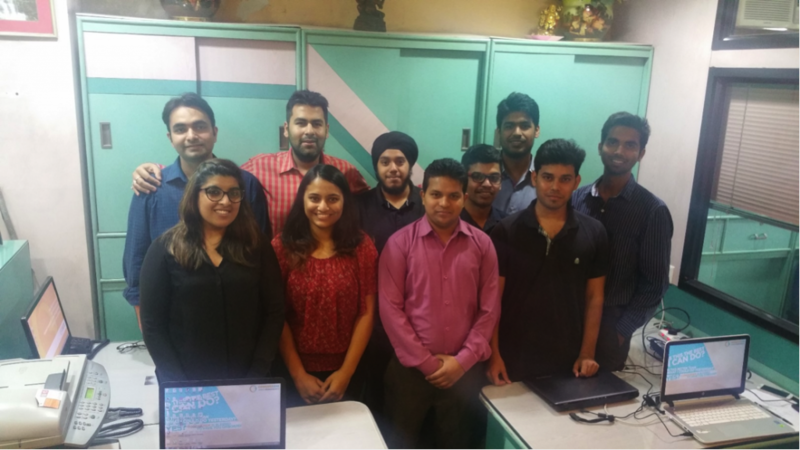 Having interned with two PSU’s earlier, I knew that an internship at a startup would be a different & unique experience, one that I was very eager to begin. While writing this, I realized how time flies, with my internship culminating soon. While sitting in my cubicle and mentally turning the pages of my internship journal, I reflect – It has certainly been the most productive summer vacation for me! Every form of positive learning I have come across since this internship commenced, is still fresh in my mind. Here are the four positive unexpected learnings that have helped me find a better version of myself and continue to do so. Working on a new task is exciting but challenging. At first, I was unable to handle the job, but constructive feedback from my mentors made me recognize that failure is a part of innovation. Feeling motivated & I made the new version of the task with same enthusiasm. I repeated the work for a few times, almost up to 5 times, but didn’t lose interest. Every time I failed, I bounced back with more creativity & innovation. This process inculcates a different mentality and appetite to tackle the challenge. Slowly I am starting to look at problems from different angles and I try to find innovative solutions. The environment encourages positive forces that work to bring my morale up. All the colleagues working here are extremely creative, with innovative ideas flowing day in and day out and this helps me learn from them. Now, I am ready to push the envelope, with me developing creativity in my work and identifying qualities I never knew I had. Working repetitively on a task until you attain perfection is quite taxing because sometimes it’s hard to accept mistakes. When my Gmail flashes the message that my completed task is accepted, the formal acknowledgment of my effort that supports the company’s goals gives me an enormous amount of satisfaction. That’s how I go to sleep every single night with a sense of achievement. Startups give recognition to individuals after the successful completion of a project which provides employees with sense of fulfilment, seeing their work being valued. When employees and their individual work are appreciated, their job satisfaction and productivity augments, and they feel motivated to keep doing a good job. This was the first time I have had to work without restrictions, without timesheets. I wondered about my performance in the beginning, how I would complete my task with this much freedom. After a few days of working here, my idea of freedom completely changed & I realized that this freedom offers me a space to achieve excellence. It does include more responsibility on your shoulders, but you can enjoy work without restrictions of timesheets in office and opportunities to work from home. Freedom is provided to challenge yourself on how you can do differently which gives the chance to unlock unique potential. This the best atmosphere ever created by a startup for the Interns who are willing to grow up, who want to carry their weight & break the stereotype. Working culture is dynamic in nature because change is their heartbeat of growth. My job titles (I worked in HR department first then in Business development), desk arrangement (sitting alone then later with two more colleagues), reporting structures (First to the cofounder then to the founder), and tasks changed frequently. I did feel uncomfortable to cope up with the changes, but I later realized that change is the most important factor to make your work productive. Change breaks repetition & enables us to tackle situations using different approaches. When it comes to studying, we receive all the information at the beginning of trimester, so shape our schedule accordingly. If we find ourselves to be too comfortable in a situation, then we start procrastinating because there is a huge time frame available. Startups are completely different! Here, you have to face real time challenges that make you step out of your comfort zone, accept change & prepare again for the new challenges.